8 miles north of Whitby, the coastal village of Runswick Bay. Large, detached, stone built Guesthouse with free off the road private parking. Ground floor rooms available. All en-suite with tea/coffee making facilities. Free WiFi. Pet friendly. Offering Bed and Breakfast, Room only or Dinner Bed & Breakfast. All home cooked meals using fresh, local produce. Visit Loftus North Yorkshire and the surrounding villages and stay in bandb, hotel or holiday accommodation accommodation provided by BedPosts members. The town of Loftus, North Yorkshire, is situated between Saltburn-by-the-Sea and the North York Moors. It was once called Lofthouse. Visit Cleveland Ironstone Mining Museum and enjoy a guided walk around the Skinningrove Valley and discover the history of this part of East Cleveland. Take a trip on Saltburn Miniature Railway, a 15 inch gauge railway opened in 1947. 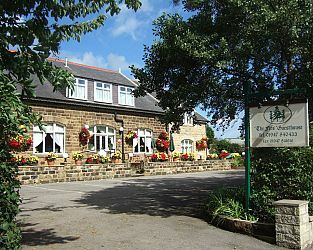 If you seek accommodation near Loftus in North Yorkshire you have come to the website of a “club” of providers who offer affordable quality accommodation around UK in hotels, bed and breakfasts, guesthouses, inns, and restaurants plus self-catering cottages and apartments .